The popularity of colouring books have been increasing over the last few years so I thought I would do some research to find out about the health benefits of colouring in, and it actually has more therapeutic properties than I expected. You can be as simple or detailed in your choice of colours, blending, shading and dimension as you like. Anyone can do it from pre-school children to the elderly and there is no pressure to be ‘artistic’. Tasks like colouring or knitting are rhythmic activities that can be calming and relaxing because they block negative thoughts. They keep the brain active because your mind is focusing on colours and attention to pattern and detail. 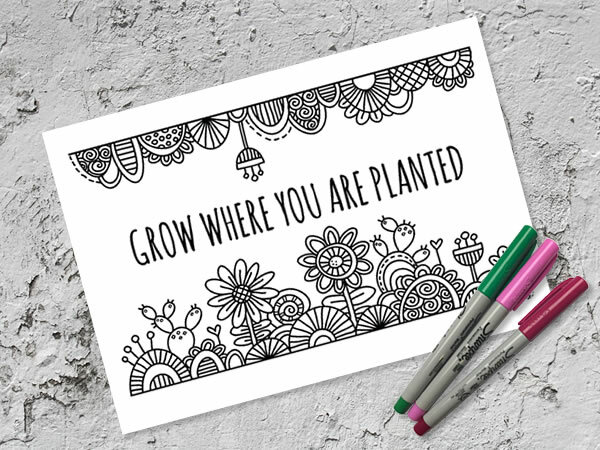 Did you know that many psychologists and therapists will often suggest the practice of colouring to help mental, emotional and intellectual health? For sufferers of PTSD and depression, colouring activities can help stress slowly disappear. Erin Maynard President of PTSD Survivors of America says, “PTSD is a disorder of memory storage and recall, and you fixate on these terrifying memories and they become ever present for you… Coloring actually reduces the activity of the amygdala, so that’s part of the reason that it helps calm you down.” It is a cheap and accessible activity for people that may not be able to afford professional treatment. Colouring incorporates both logic and creativity, problem solving and fine motor skills. This utilises both the left and right hemisphere of the brain and is very useful for occupational therapy. The hand-eye coordination necessary for colouring also helps to refine motor skills, both in the young and elderly. These sort of activities have also been proven to help delay the onset of dementia. Colouring is a cheap and easy activity to help relieve boredom on school holidays, recovering from illness, in hospital, on car journeys, or at a restaurant and is a pleasant distraction from our digital-based world. There are a huge range of designs to suit everyone’s tastes from cute, flowers, fairies, monsters, animals, science fiction, seasonal events, spiritual, abstract patterns, mandalas, swear words and ‘adult’ designs. Colouring can help train our brains by utilising areas of the brain that enhance focus and concentration. These brain exercises help with problem solving, organisational skills and they make us more efficient, logical and mentally strong. On a lighter note, it’s a wonderful opportunity for parents and kids to do something fun together – a time to bond and chat while colouring – and a chance for adults to reconnect with their inner child. Colouring is clearly a beneficial activity for kids and adults of all ages and all stages of life. 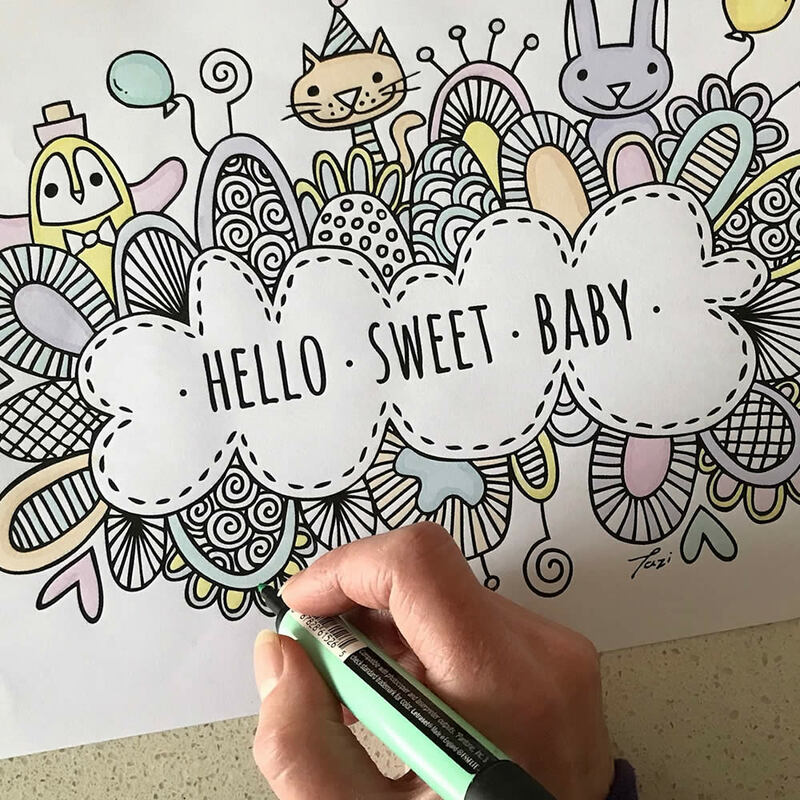 Like meditation it is a very calming activity that can help reduce stress and anxiety because the focus on colouring helps block negative thoughts. It is such an easy activity to do, no skills are required and it’s also really fun to do!